Thanks. I found a shop manual online. Boy I wish the Durametric software could diagnose that 4266 fault. I appreciate your quick response. Thanks again. Oh thanks....just so I understand, this is different from the “brake bleeding “ at the bottom. Also do you know where I can get a service manual and detailed instructions on brake bleeding on this 2001 996tt. Also one last thing...the switch “Start/Stop” was pushed by accident, about 3 seconds, did I do any damage? Thanks Loren. Is there any information on how to bleed brakes using durametric tool, step by step?? Also definitions of screen values, such as PSM -“ pump motor activation” does! See photo. Oh sorry, 2001 996tt. Problems with PSM/ABS LIGHTs on. What diagnostic tool will help me find out if a wheel sensor is bad. Durametric does not seem to have that option. Any suggestions on how to address this problem would be greatly appreciated.. Thanks in advance.. Thanks for the information. Is there a way to test the battery/charging system? Car is on a tricycle system, and seems ok, but I am in the mountains far from civilization.. maybe meter the battery?? Or voltage from the alternator? Car drives fine but concerned about driving down the mountain. Thanks again, much appreciated. Hello all- quick question...tire pressure on front and back. Book said 36/44, would the 8 lbs difference cause a ABS/PSM light to come on? Iam in the mountains and temp differences cause tire pressure to lower. Shop here said all tire pressure should be the same? 35 psi. This seems wrong to me. First time owner and this tire pressure is causing these false abs readings when down/up the mountain. Any suggestions would be greatly appreciated. Thanks in advance. Wow...those Germans....it knows the tires are low without a TPMS system. Wish it would light up something else BUT I am impressed. Thank you very much. So glad I found this site. 2001 came on. Long story short, every shop(non Porsche) said the pump/computer was bad and needed replacement 4,000.00>. I don’t have a Porsche dealer anywhere around so I just listened and watched. Come to find out the tire pressure was low, adjusted pressure and lights went out. Question, how did it know the tire pressure was low, there is no TPMS system that Iam aware of??? Curious and new to Porsche. 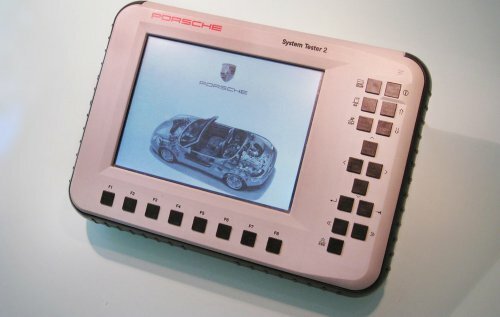 1st Porsche I have owned and concerned about the car diagnostic, Best to invest in Durametric Diagnostic Tool. 2001 996 TT ABS PSM warning light came on. Long story short, every shop(non Porsche) said the pump/computer was bad and needed replacement 4,000.00>. I don’t have a Porsche dealer anywhere around so I just listened and watched. Come to find out the tire pressure was low, adjusted pressure and lights went out. Question, how did it know the tire pressure was low, there is no TPMS system that Iam aware of??? Curious and new to Porsche. 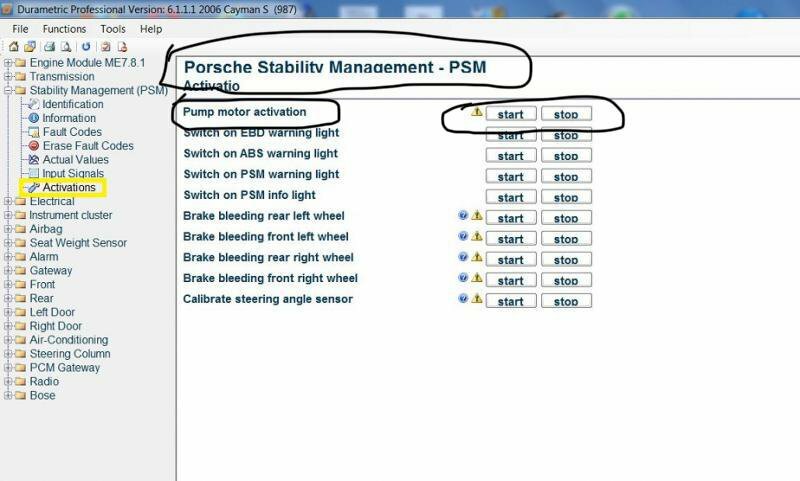 1st Porsche I have owned and concerned about the car diagnostic, Best to invest in Durametric Diagnostic Tool. Thank you very much for the information. Looks like i am trying to stretch 1.5 “ to more- lol. Big guy having trouble fitting into car. 6’5.